As we head into spring, it’s only natural to feel the urge to get rid of all the junk our bodies have stored throughout winter. I’m planning to stack my spring meal planning with foods rich in chlorophyll for all kinds of detoxification benefits. Enter my friends: cilantro and parsley! Cilantro is known to be a natural chelator and aids in reducing levels of heavy metal in the body. Parsley is good for detoxifying the kidneys and has been shown to have a detoxifying effect on the liver as well. 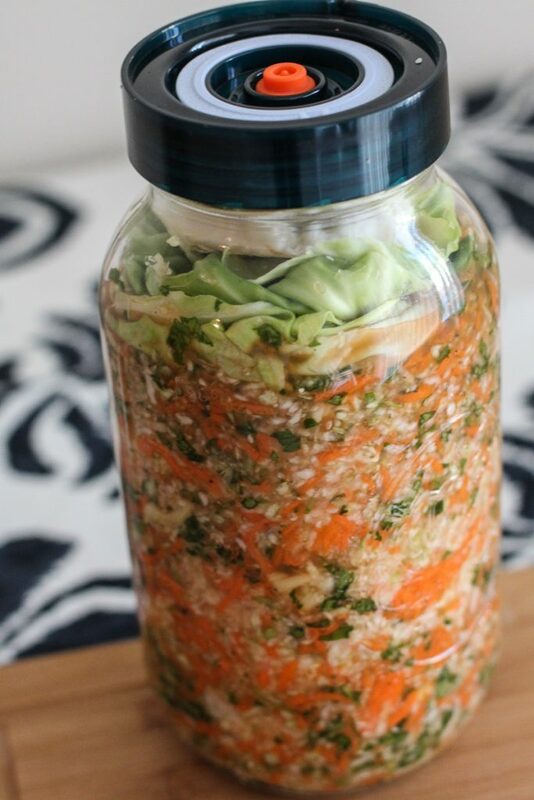 Both foods are most powerful in their raw state, so why not ferment them? 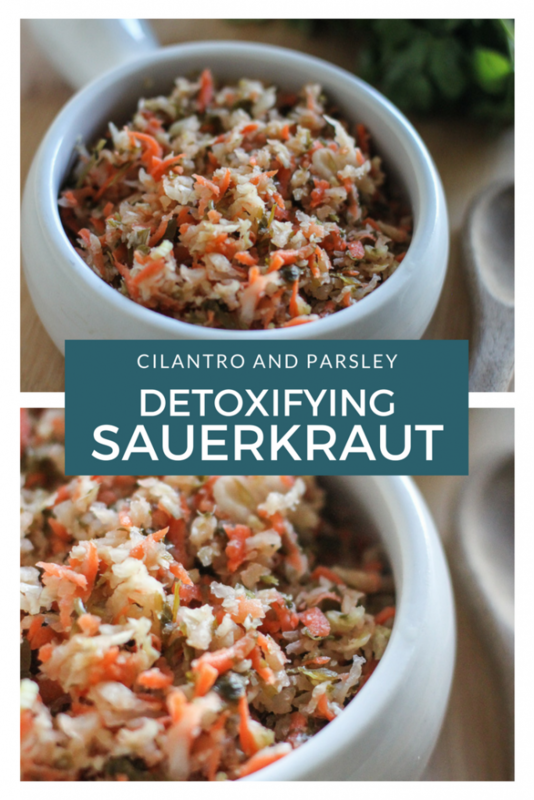 This detoxifying sauerkraut recipe is actually a double dose of detoxification for your body. 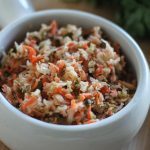 Not only does it feature chlorophyll-rich cilantro and parsley but it’s SAUERKRAUT, which is a detoxifying food in itself. I normally do no list organic components in my recipes, as I believe that is a personal choice. However, it’s important to use organically grown ingredients in this recipe because we are aiming for detoxification. Start by removing the outer leaves of the cabbage and the core. Set aside for later. Next, shred the cabbage. I use a food processor but an actual cabbage shredder or knife would work great too. Then peel the carrots, trim off the ends and grate. Finally, roughly chop both the cilantro and parsley. Combine all ingredients in a large bowl or pot and sprinkle with sea salt at a ratio of 1 tablespoon salt to 1 3/4 lbs vegetables. Massage the mixture until it begins to sweat and there is noticeable liquid in the bowl. Now it’s time to pack the mixture into a jar. I recommend using a big wooden spoon (or your fist) to pack everything down as you don’t want any air pockets. Then cover with a glass weight OR the outer cabbage leaves topped with pieces of the core. 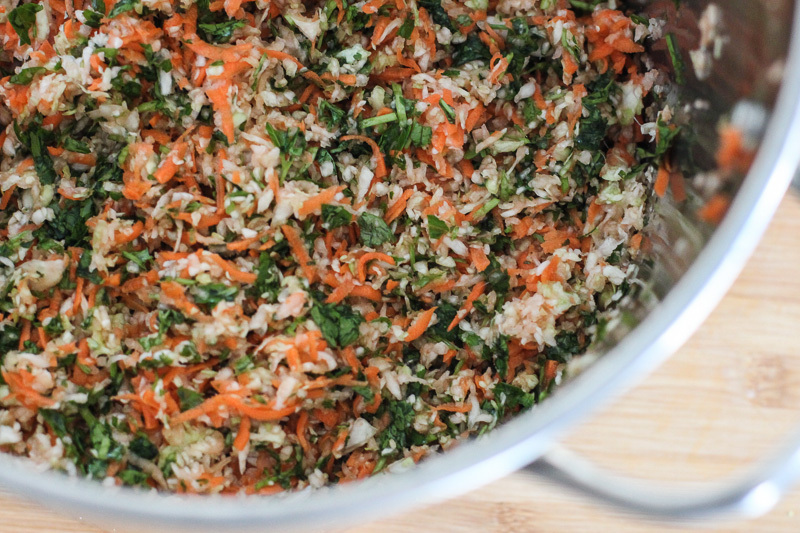 Be sure the vegetable mixture is completely submerged in brine. Cap with a lid or an airlock device and let ferment at room temperature for 14 days to one month. If you do not use an airlock, be sure to place the jar in a bowl to catch any overflow during the first week. 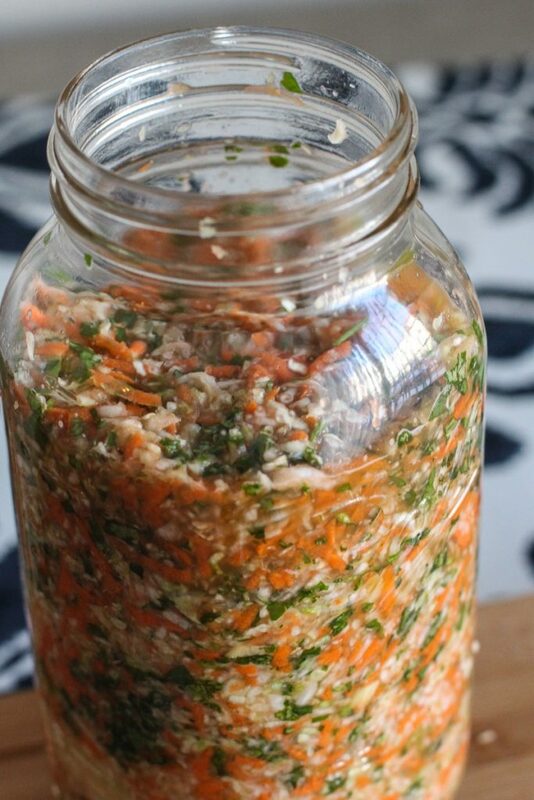 You’ll also want to “burp” the jar a few times a day during the first 4-5 days. I used The Easy Fermenter as my airlock for this recipe. I like these caps because they allow the air to escape, so I don’t have to worry about burping. They are also easy to open once your sauerkraut is ready to eat! 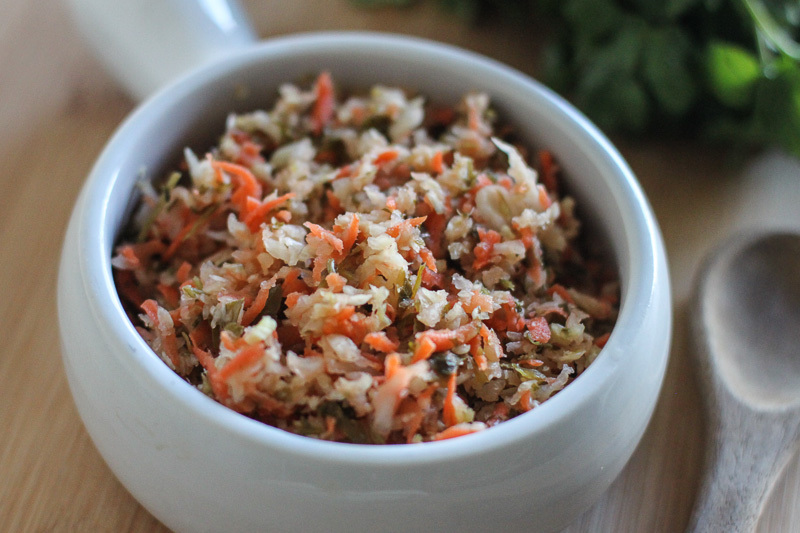 This sauerkraut recipe features detoxifying foods to support your overall well being. Oh I definitely need to make this!! This recipe is sooooo good. My first recipe to test the Nourished essentials lid and it worked great! So glad to hear it! Happy Fermenting!